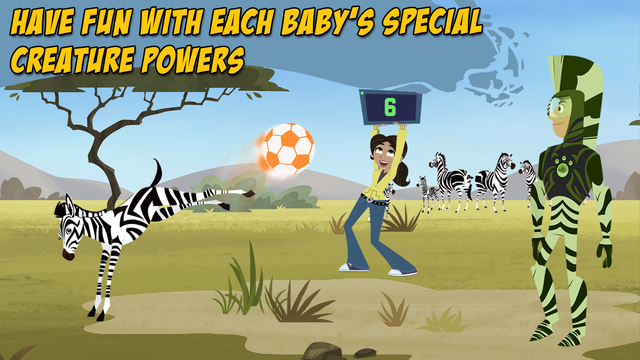 Did you know that there's a new PBS KIDS app out? 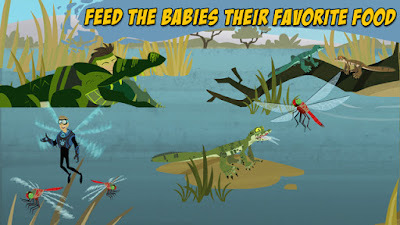 And it features one of my son's favorite shows: WILD KRATTS! 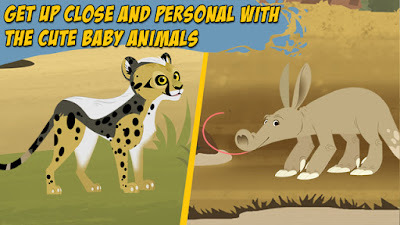 Brief Description: An interactive app for kids that teaches children about animal care and animal science. My animal-loving son absolutely adores this app because it allows him to take care of baby animals. 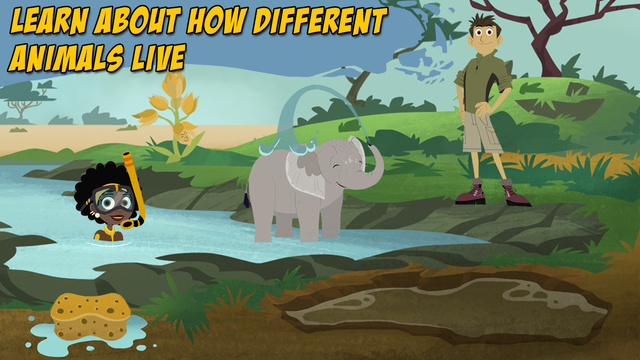 He joins Chris and Martin Kratt as they care for young creatures on the African Savannah. 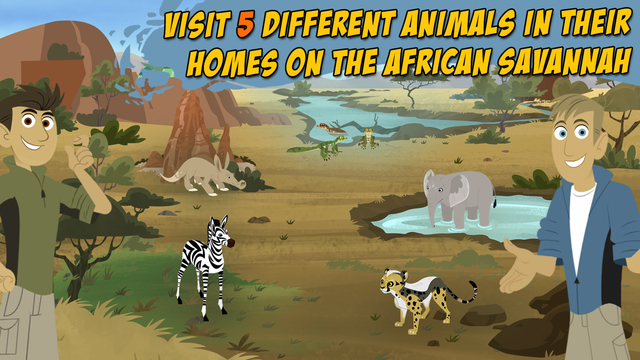 There are five different ones: a baby elephant, cheetah, crocodile, zebra, and aardvark. Within the savannah, each species lives in a different niche and has different requirements for survival. Your child will learn how to feed, wash, protect and play with each baby animal. For each species, Chris or Martin activate their creature power to be more like a parent to that animal. Your child will learn about the different adaptations each animal has. For example, your child may learn that baby cheetahs have a different pattern to their fur to help them look like badgers and scare hyenas away. The only complaint my son has is that there are only African animals - he'd love to see more species from around the world!